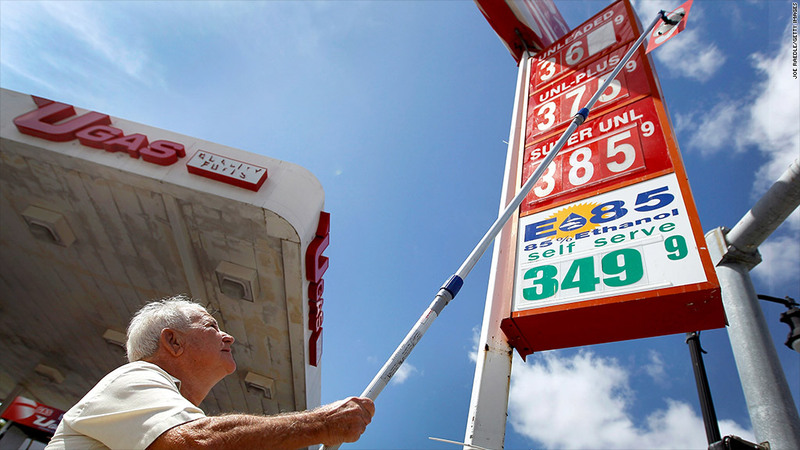 The price of unleaded gasoline could jump by at least 25 cents per gallon in August. Gas guzzlers, be warned: You're in for a whopper of a price jump at the pump. Prices of oil and gasoline futures have increased sharply in July, according to Gasbuddy.com chief oil analyst Tom Kloza. And these prices will inevitably be passed on to consumers in the coming weeks. The price of unleaded gasoline could jump by at least 25 cents per gallon in August, said oil trader Dan Dicker, author of "Oil's Endless Bid." In the last two weeks, gas futures jumped to $3.01 per gallon, an increase of more than 10%. And oil prices have surged more than 10% over the last month. At the same time, Kloza notes that the price of retail gas "has barely moved." But he does expect gas prices to follow suit, surging by as much as 30 cents a gallon in August. The national average price for regular unleaded gasoline rose 1.7 cents per gallon on Thursday, to $3.52 per gallon, according to the motorist group AAA. That day-to-day bump may just be the start of a larger run up. Dicker said the energy markets are being driven by a geopolitical "fear factor" over turmoil in oil-producing countries like Egypt, Syria, Iraq and Brazil. Also, he said the decline in gold prices has prompted investors to turn to oil, exasperating the energy boom. "Gold just fell apart," he said. "Hedge funds and traders, they've put their money in the oil market. Crude oil has become the new gold."